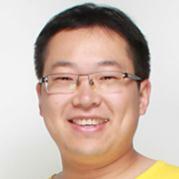 Dr. Ting WANG received his PhD in Computer Science at University of Liverpool in Dec. 2013, and finished his Postdoctoral Research at State Key Laboratory of Intelligent Technology and Systems, Department of Computer Science and Technology, Tsinghua University in 2016. Before that, from 2003 to 2004, he was a software engineer in system analytics at Micro-Star International Co., Ltd., and from 2008 to 2009, he was a research engineer at Jiangnan Institute of Computing Technology. He is now an associate professor at Shanghai International Studies University. His current research interests focus on Artificial Intelligence, Machine Learning, Pattern Recognition, Natural Language Processing, Data Mining, Statistical Data Analytics, and Decision Support Systems. He has published nearly 30 papers on both China domestic and international journals and conferences. As a principal or co-principal investigator, he also took part in many research projects, including one National Natural Science Foundation of China, and three provincial science foundations.